Kuwait has always been a supportive country to Egypt starting from the 1967 aggression, and through the October War in 1973 and the 30 June revolution in 2013 when the Emir of Kuwait, Sheikh Sabah Al-Ahmad, affirmed that Kuwait will provide full support to Egypt at political and economic levels. Kuwait also supported the Egyptian economy with a $2bn deposit at the Central Bank of Egypt (CBE) in March 2015, during the Economic Development Conference in Sharm El-Sheikh. Kuwait has been playing a mediation role in resolving the latest Gulf Cooperation Council’s (GCC) crisis, involving Qatar on one side, and Saudi Arabia, the UAE, Bahrain, and Egypt on the other side. On 5 June 2017, Egypt and its Arab allies cut all diplomatic relations with Qatar. They issued an ultimatum of 13 demands that Qatar must fulfill to restore ties. Marking Kuwait’s National Day on 25 February, Daily News Egypt sheds light on major aspects of Egypt-Kuwait relations. There are 1,258 Kuwaiti firms operating in Egypt with total investments of $3.67bn in the period between 1970 until the end of January 2019, according to exclusive statistics by the General Authority for Investments and Free Zones (GAFI) that Daily News Egypt got upon request. The services sector accounts for the largest share of Kuwaiti companies in Egypt up to 383 companies with total investments $240.99m. The construction sector comes second with 286 Kuwaiti companies and investments of $688.44m, followed by the industrial sector with 219 firms investing $749.96m. Although Egypt’s financial attracts the lowest number of Kuwaiti firms, it accounts the largest value of investments of $1.3bn. The Kuwaiti firms operating in Egypt offer a total of 46,809 job opportunities, according to GAFI, of which the industrial sector has the largest share of 13,869 job opportunities. 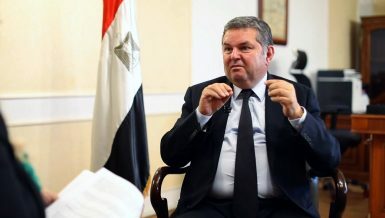 Kuwaiti investments in Egypt are relatively good, however, they don’t match the two countries’ size in the region, economic expert Youmn El-Hamakki told Daily News Egypt, adding that both countries should develop a new strategy for boosting bilateral economic cooperation, namely in investments and trade. The value of trade exchange between Egypt and Kuwait reached $1.74bn in 2017, of which $363m of non-petroleum products, the Minister of Trade and Industry, Amr Nassar, said on 7 November 2018. Kuwait is one of the most important trade partners to Egypt as it is the third largest Arab partner to the country following the United Arab Emirates and Saudi Arabia, the minister noted. 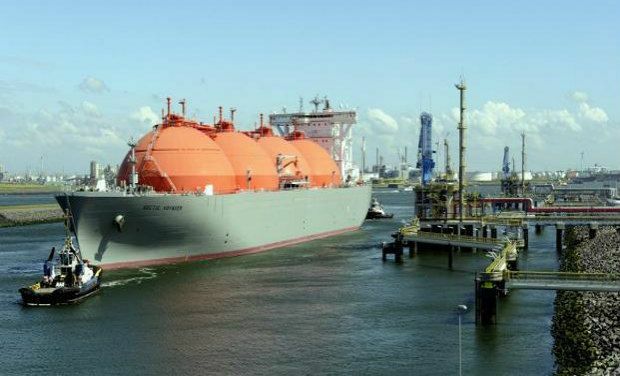 The total trade exchange between Egypt and Kuwait in the period from July to September 2018 amounted at $503.8m, including $476.7m of Egyptian imports and about $27.1m of Egyptian exports, according to the Central Bank of Egypt’s (CBE) latest report. 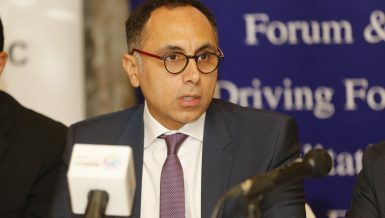 The Kuwaiti Minister of Commerce and Industry, Khalid Al-Rowdan, stressed that Kuwaiti investors are willing to increase their investments in Egypt, following a meeting with Nassar in November 2018. In March 2018, the Minister of Investment and International Cooperation, Sahar Nasr, and the Director General of Kuwait Fund for Arab Economic Development, Abdulwahab Al-Bader, signed five agreements with a total value of KWD 86.1m ($287m/ EGP 5bn), within the framework of developing Sinai. “There are promising opportunities for boosting the joint economic relations with Kuwait especially in the stock market and services sector. 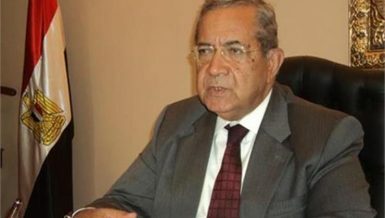 Economic tie can be better than its current level,” El-Hamakki said. Moreover, since 30 June 2013, Kuwait’s economic support to Egypt has reached about $4bn, of which $2bn was provided as a deposit in the CBE to back Egyptian international reserves, $1bn as petroleum aid, and $1bn as a non-refundable grant. 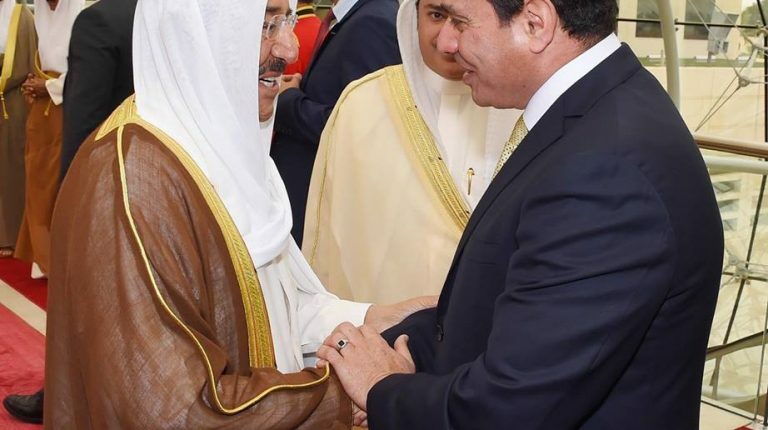 The Kuwaiti emir participated in swearing-in ceremony of President Abdel Fattah Al-Sisi, which reflected the keenness of the Gulf state on bolstering the new Egyptian regime. Then, Al-Sisi received the Kuwaiti emir at the presidential palace. The Egyptian president visited Kuwait later and was received by Sheikh Al-Sabah on 7 May 2017. The two sides discussed strengthening the brotherly relations between the two countries at all levels and extending the horizons of bilateral cooperation to serve their common interests. They also discussed ways to support the Arab relations and other issues of mutual interest. Ambassador Rakha Ahmed, former assistant of Egypt’s foreign affairs minister, said that since 2013, the political cooperation with Kuwait is witnessing a remarkable improvement, adding that the main characteristic for this relation is the mutual respect. Discussing the regional crisis, Ahmed said Kuwait is playing an important role in mediation between Arab countries and Qatar. “We have to give Kuwait the full chance to solve the crisis between Arab countries and Qatar,” he further added. Moreover, Kuwait backed Egypt during the 1967 aggression and the October War in 1973. It was one of the first Arab countries to send its armed forces to assist Egypt in the Sinai liberation war. It sent a full brigade, called “Yarmouk Brigade”, which remained in Egypt until the end of the war, according to the State Information Service (SIS). The Egyptian army participated in defending Kuwait against the Iraqi aggression in 1990. The Kuwaiti-Egyptian military relations flourished recently witnessing frequent joint drills and exercises. The Egyptian and Kuwaiti military institutes have regular student exchange programmes to exchange experiences, visions, and ideas in the military field. Al-Sisi asserted in several occasions that maintaining the security of the Gulf States, including Kuwait, is an unquestionable priority for Egypt and that Egypt will do its best to defend and secure its brotherly Gulf countries against any kind of aggression. Leaders and senior officials of both countries exchange visits frequently to discuss the Arab issues and strengthen cooperation between the two countries. First Deputy of Prime Minister and Minister of Foreign Affairs of Kuwait, Sheikh Sabah Al-Khalid Al-Hamad Al-Sabah, paid three visits to Egypt, in February 2016 as well as July and August 2017. He met with Al-Sisi and tackled the latest developments of a number of regional issues, on top of which was the Gulf crisis. The Kuwaiti Minister of Justice, Awqaf, and Islamic Affairs, Yacoub Abdul Mohsen Al-Sanea, also visited Egypt on 11 May 2016 and was received by the Egyptian president. Al-Sisi and the Kuwaiti emir also met frequently to discuss ways of boosting bilateral relations. Speaker of the Kuwaiti National Assembly, Marzouq Al-Ghanim, visited Egypt on 3 January 2016 when he discussed strengthening the bilateral parliamentary relations. Chief of General Staff of the Kuwait Army, Mohammed Ahmed Al-Khader, visited Egypt on 17 April 2017. The two sides discussed military cooperation between the armed forces of the brotherly countries and the efforts exerted to eradicate terrorism and achieve security and stability in the region. On 23 April 2017, Pope Twadros II visited Kuwait and met with the Kuwaiti Emir Sheikh Sabah, the Crown Prince Sheikh Nawaf Al-Ahmad, the National Assembly Speaker Marzouq Al-Ghanim, Prime Minister Sheikh Jaber Al-Mubarak, and a number of Kuwaiti officials and dignitaries. Cultural relations between Egypt and Kuwait began even before the political and economic relations. A student mission from Al-Mubarakiya school was sent to study in Egypt’s Al-Azhar in 1942. Ambassador Rakha Ahmed noted that there are a large Egyptian community in Kuwait. “I think there are about 800,000 Egyptians living in Kuwait. 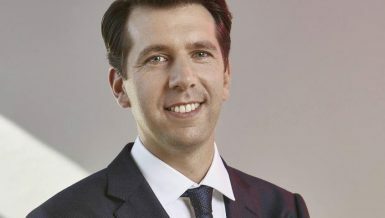 However, the accidents they face recently are individual cases,” he mentioned. Six Egyptians including two brothers were killed and five Kuwaitis were injured in January after a four-wheel car driven by a Kuwaiti family and a taxi carrying Egyptian expats crashed into each other. Egypt’s official news agency reported in January that Kuwaiti security authorities are trying to reach witnesses to the incident, to disclose its circumstances. Kuwaiti MP Safa Al-Hashem attacked the Egyptians working in Kuwait, but she was slammed in Kuwait and Egypt. The history behind Kuwait’s National Day is intertwined with its friendship with the British when it became its protectorate in 1897. The British protected the country against the Turkish invasion in the same year. The year 1961 also witnessed the British totally gave Kuwait the independence it deserves. The independence of Kuwait from British rule was eyed upon by the Iraq government during that time. However, the invasion was resisted both by the country and the British. The combined movement by both countries made way for the declaration of independence.